The Voer-region has a beautiful rolling landscape, an abundance of natural beauty where peace and tranquillity prevails. As a walker, cyclist or mountain-biker you can fully enjoy the picturesque villages, the varied landscape and beautiful views. 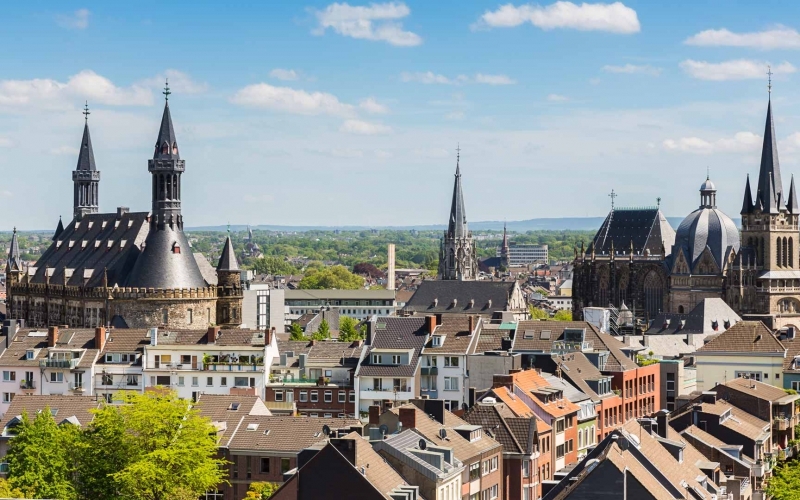 The Voer-region is composed of six boroughs and is the only part of Flanders on the eastern side of the Meuse, right between Maastricht, Aachen and Liege. It is an ideal startpoint to explore the surrounding areas. The range of sports and leisure opportunities is very wide. The Voer-region is one of the finest Flemish hiking regions. The beautiful scenery can now be explored using the marked hiking network, worth approximately 125 km of pure hiking fun. Through more than 90 numbered intersections (crossroads of walking paths), the hiker can choose the itinerary and length of the walk in advance. Or follow one of the theme walks leading through forests, rivers, sunken roads, stately farmhouses and castles, distinctive half-timbered houses and beautiful views. The province of Limburg has invested in a great cycle route network. The intersection network guarantees more than 2.000 km of cycling fun through the entire province. 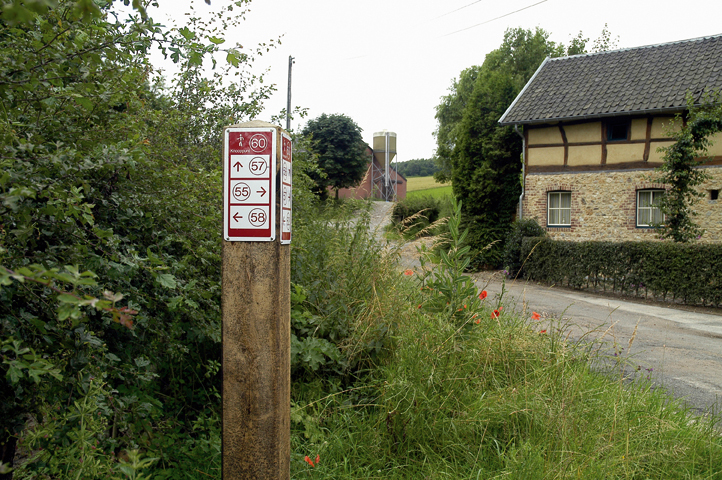 The cycle routes in the Voer-region fit perfectly with the Belgian, Dutch and German networks. If you are riding to the east of the region you can expect some tough climbs. 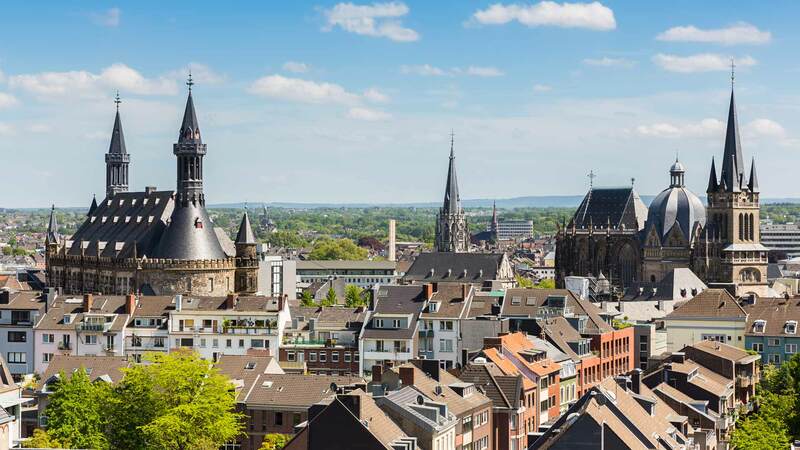 For cyclists who want to leave the hills behind, a trip along the Meuse is very refreshing. If you want to take a look across the border with the Netherlands: the ferry in Eijsden (NL) brings you on the other side of the Meuse in no time. The new and varied Euregio ATB network will please both the novice and more experienced mountain-bikers. 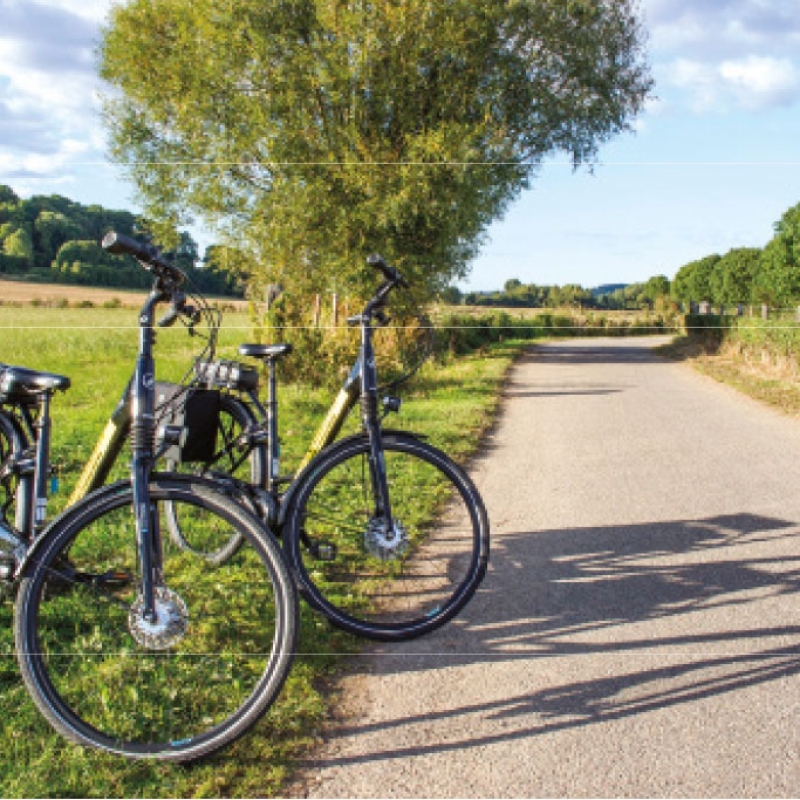 It takes you through beautiful orchards, woodland walks and sunken roads. Along the way discover the most beautiful scenery and steeply hills. 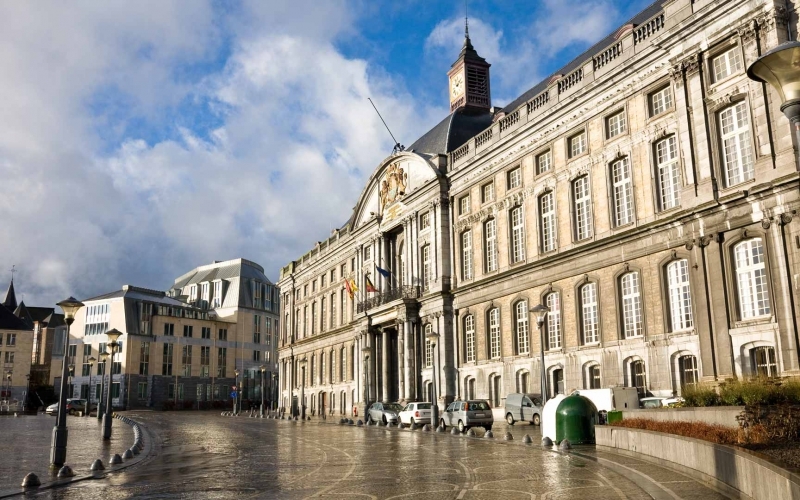 The marked trails connect the provinces of Belgian- and Dutch Limburg with the province of Liège. The maps of the ATB-network and Cycling-network Limburg can be bought at the Visitor’s centre in ‘s-Gravenvoeren. The number of cyclists with an electric bike increases every year and so the demand for locations where they can recharge their cycle batteries. 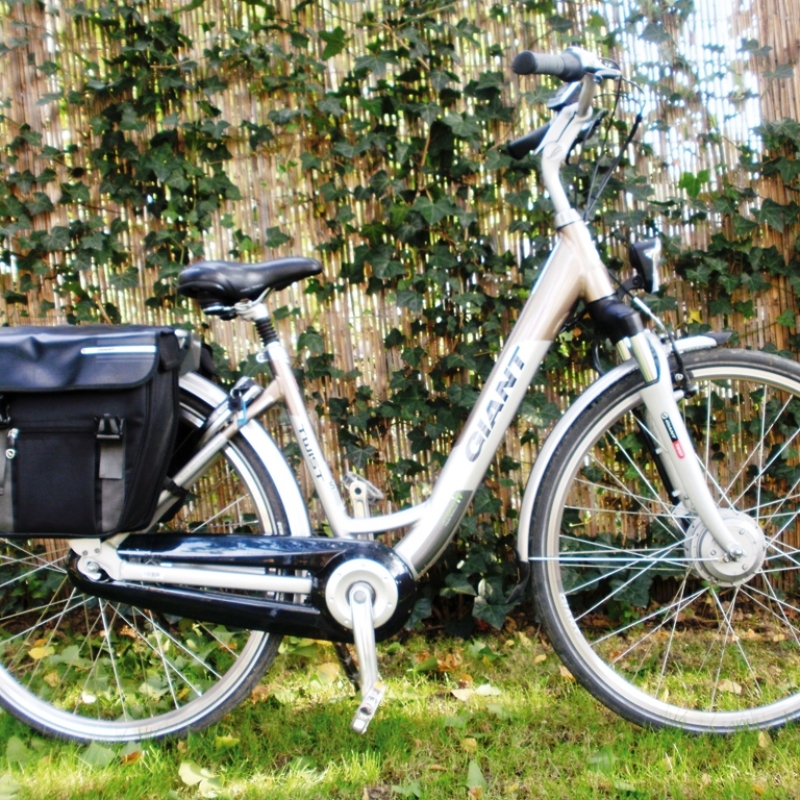 The province of Limburg has the densest network of charging stations for electric bicycles in the Benelux. The new charging stations are evenly distributed over the 2,000 km long bicycle network. Each location has the quality label ‘fietscafé (bike-pub)’ awarded by Toerisme Limburg, and thus guarantees friendliness and good service to cyclists. The load station is easily accessible with an electric bike and is clearly in sight of the cyclist. 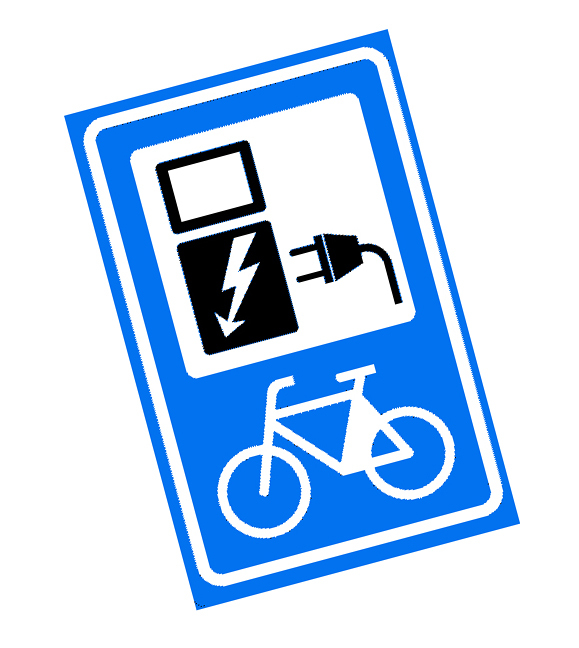 The use of the charging station is free for the customers of the ‘fietscafé’ (bike-pub). A typical charge takes about one hour, perfect to have a drink or snack during the loading time. An orchard is not only interesting in autumn when the fruits are hanging from the trees. Throughout the year, there is plenty to discover. This is why ” Regionaal Landschap Haspengouw en Voeren ” in collaboration with the municipality of Voeren, has built an experimental orchard in ‘s-Gravenvoeren. In the orchard, you can pick unsprayed fruits; enjoy a delicious picnic and have fun to your heart’s content. Here you will find information panels on the different types of fauna and flora, as well as playground equipment and benches. Follow the winding path that is in the orchard and learn more about typical fruits of the region, the history of Voeren orchards and the orchard as a place of habitat of a variety of animal species. 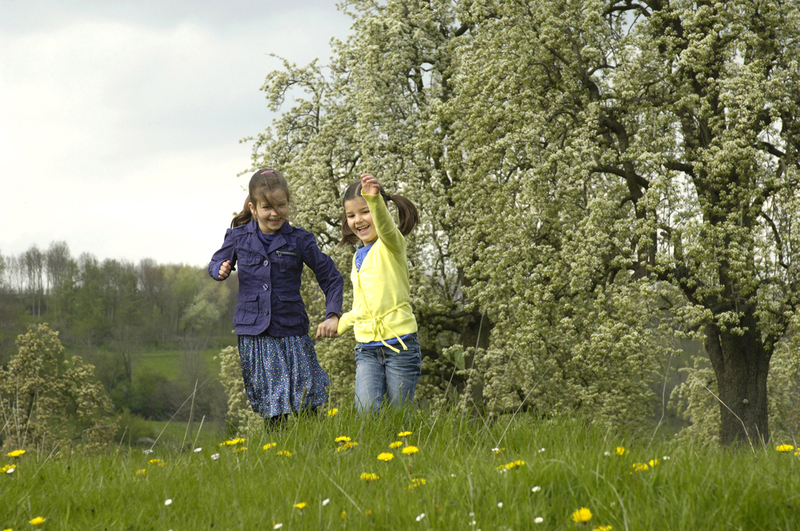 The educational orchard is located in ‘s- Gravenvoeren on the hiking network between junctions 28 and 31 and between the junctions 422 and 423 of the cycling network. A quiet location to fish on a pond., accessible every weekend from March to November. 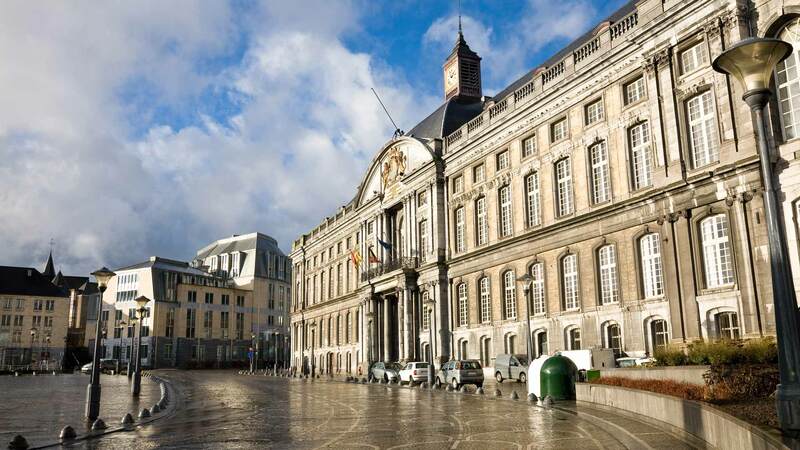 Please note that if you want to fish in the rivers in Voeren, a fishing license is required of the Flemish Community. This license can be bought at the postal-office. In Mosaqua you have plenty of recreational activities, both inside and outside, and this throughout the year. Here you can swim, relax or enjoy a snack and a drink. 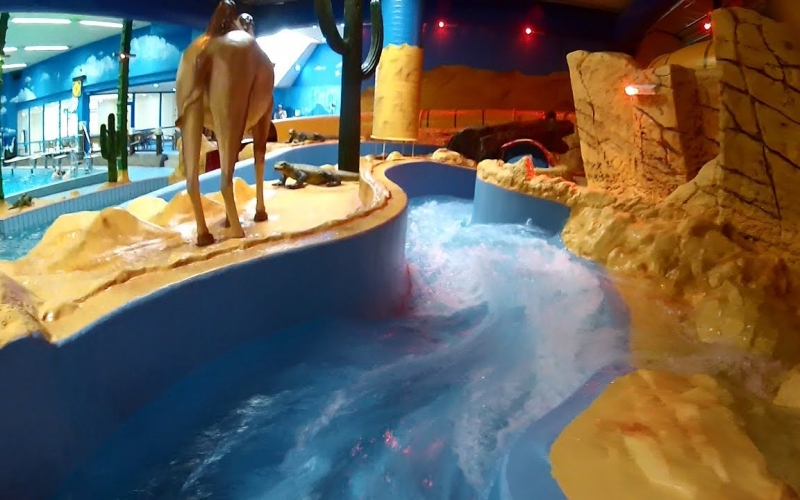 Funvalley in Eijsden, situated on the banks of the Meuse, is a true adventure for young and old. 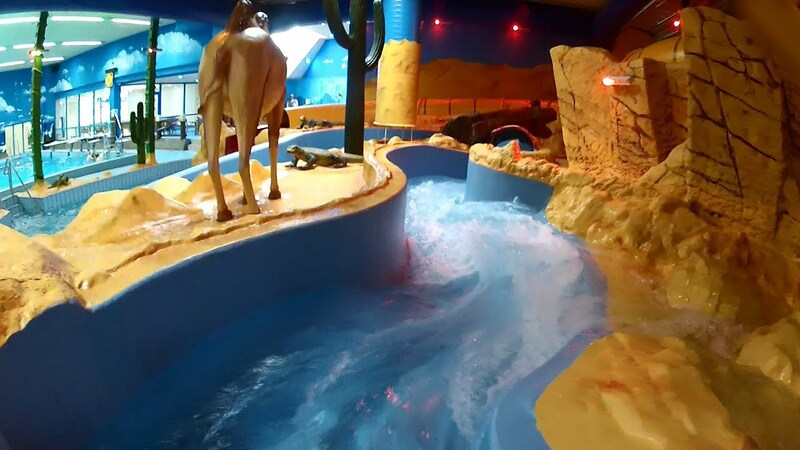 The recreation area boasts beautiful beaches with clean lawn, a large playground with spectacular attractions and adventure sports or customized packages. Be surprised by our characteristic locations and relaxing or exciting activities: survival and outdoor course, covered wagon tour, guided tour of the syrup distillery, bakery workshop combined into a sporty or Burgundian package. We serve traditional regional dishes (breakfast, lunch, dinner) on location or in our French salon, also an inspiring meeting location, whether or not in combination with an active or relaxing program.